I am a mother. I know all that you take on when you become a mother. What ever your story may be, I am so sure there is something similar I would have to share. Being a mother can be happy, fun, loving, but can be frustrating too. 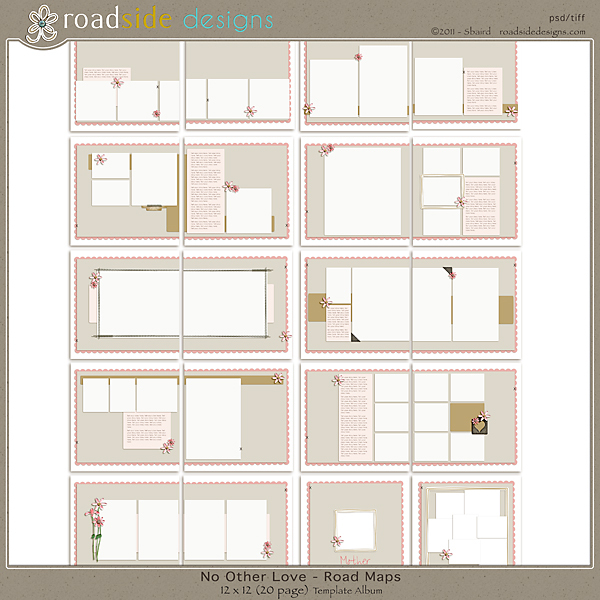 So in honor all of the mothers out there, I am having a sale on my “No Other Love” Kit and Template Album. 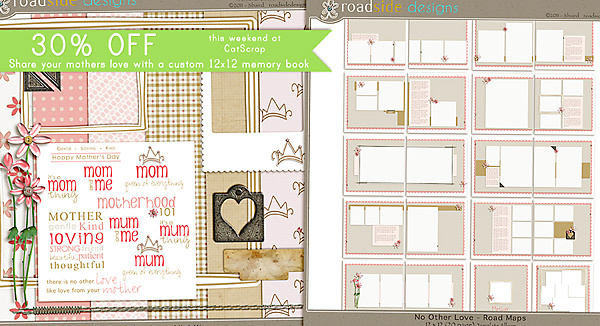 Create a custom memory album for the special mother in your life or create one for you to give to your children. 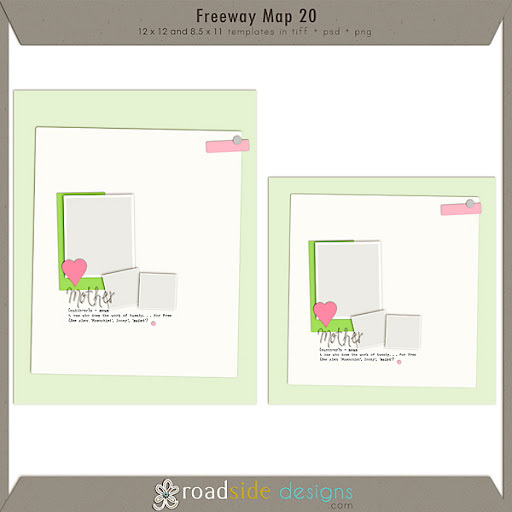 This 20 page 12 x 12 template album is an easy way to showcase your photos and journal your memories. And this weekend it is only $5.60. All elements show are included. Throughout this weekend, you can pick up my my “No Other Love Kit” for only $3.50. I have also put together a freebie for you! Just stop by my facebook fan page and download this road map in honor of all mothers. Thank you for this freebie. Happy mother's day to you too and for all your readers as well.